As the links between food security and health become increasingly clear, Feeding Texas is seeking to provide better nutrition to the 3.5M Texans who receive assistance from our food banks. Part of this effort involves brokering new relationships with various aspects of the produce industry. 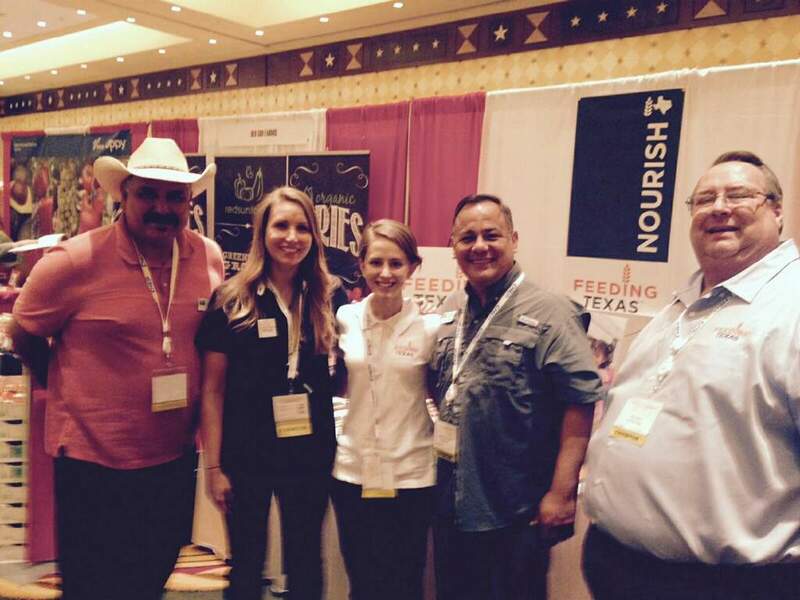 This March, Feeding Texas staff were honored to meet producers from the Southwestern United States and Mexico during the first Viva Fresh Expo hosted by Texas International Produce Association (TIPA). We enjoyed the opportunity to speak with over 800 buyers, growers, packers, and shippers of produce about our “Feeding With Impact” initiative to fight hunger and improve dietary health. 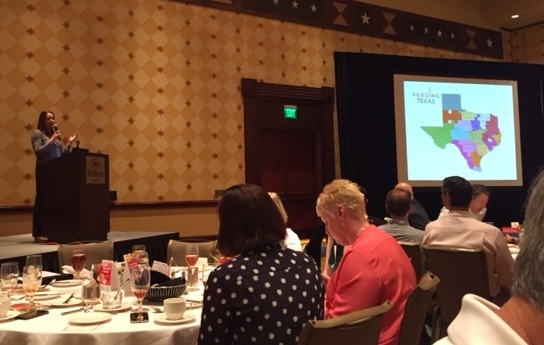 Speaking during the lunchtime plenary, our CEO Celia Cole highlighted the harmful impact of food insecurity on Texans and provided the audience with concrete ways to join the fight against hunger. At the end of the expo, 12,647 pounds of produce were donated to the Capital Area Food Bank. We look forward to working with our new colleagues in the produce industry to help increase access to fresh fruits and vegetables among hungry Texans! L-R: Noe Elizondo, FBRGV Produce Solicitor; Bethany Carney, CAFB Food Sourcing Lead; Sarah Sykes, Feeding Texas Produce Assistant; Eduardo de la Rosa, FBRGV Produce Solicitor; and Lee Pipkin, Feeding Texas Food Resource Director.